High torque brushless motor with rotating drum and high power neodym magnets suitable for models of 400-500 size, and up to 1500g in weight. The hardened steel 5mm diameter shaft and is supported by three ball bearings. 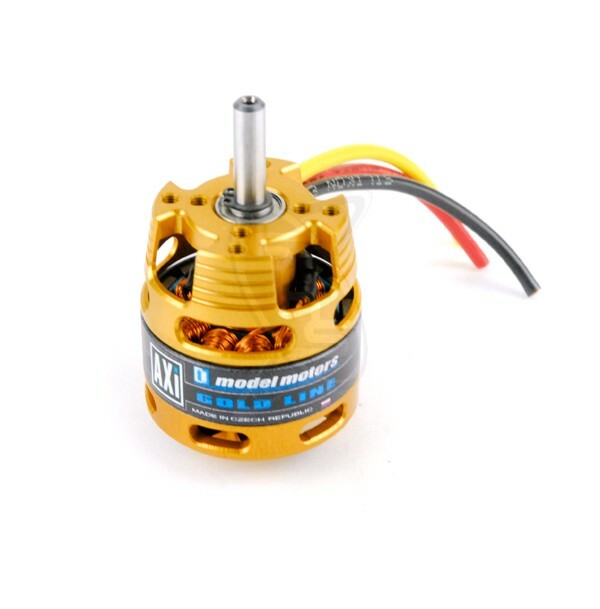 Motors AXI 28xx V2 Long have been designed especially for HOTLINER and SAILPLANE.